Thursday, July 11, 2002. Philadelphia, PA. 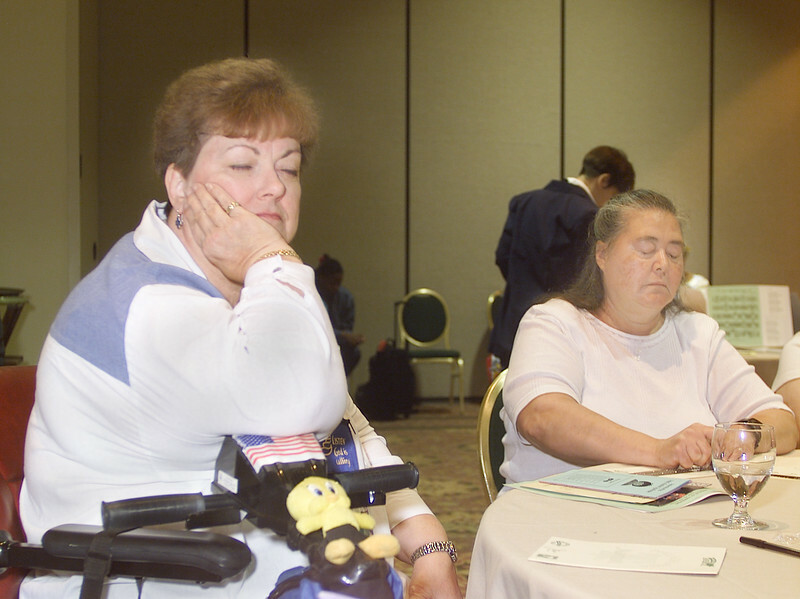 Photos by Mike Levin.- Perspectives for the Differently-Abled- Marriott hotel, Salon K & L. - (left-right )Pat Foley (in wheelchair) prayerfully reflects and Visually impaired participant Rita Pennington from Denver. CO takes notes while listening to speaker Laura Rorem from Juneau, Alaska speak about Mental Illness and brain disorders.